Pioneers in the industry, we offer mens polo shirts, hooded sweatshirts, casual shirts and mens cotton shirts from India. We offer an appealing range of mens polo shirts, which are available in a wide spectrum of colors and designs to choose from. Quality being the success mantra for us, we fabricate these polo shirts using finest grade of cloth material. Our mens polo shirts are acclaimed in the market for the features of shrinkage resistance, sweat absorbency and color fastness. Further, our clients can avail these in customized solutions and at extremely competitive prices. We are looking for enquiries from all over the world. Hooded sweatshirts offered by us are fabricated by using high grade fabric and is available in black colors as per the requirements of our esteemed clients. 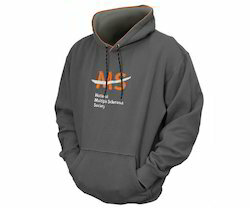 Our range of hooded sweatshirts is suitable for both men as well as women and is offered at the reasonable prices. These sweat shirts can easily evaporate sweat and do not leave any mark or sweat odor. We are looking for enquiries from all over the world. We manufacture and export an extensive range of men's casual shirts. Manufactured using a wide variety of fabrics such as cotton, polyester, zari, printed fabric, cotton lining, these are highly acknowledged amongst our clients. Available in variant colors, patterns and styles, these can be worn on various occasions. 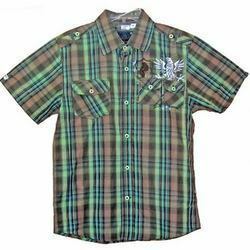 Color fastness, shrink resistance, wrinkle free and superior finishing are the salient features due to which our range of men's casual shirts is in great demand. We are looking for enquiries from all over the world. 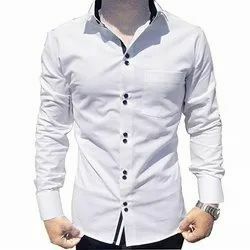 With the valuable assistance of skilled team of professionals, we are engaged in offering an extensive range of high-quality Mens Cotton Shirts.